Mary Georgina Charles-George was born on May 10, 1913 to Henry and Frances Ann Charles of Phillips Village. As a young woman, Mary Charles was fortunate to be the first born of two loving parents and older sister to three lovely sisters. I should know – one of them was my mother – Isa Charles Isaac, and the other two (Catherine Charles Nisbett and Betty Charles) - were the best aunts that anyone could have had. Mary was also fortunate in that Rev. King saw in her, the potential of an excellent teacher. Little did Rev. King know how right he was. It was Rev. King who facilitated her teacher training at Spring Gardens Teachers Training College in Antigua by way of a Scholarship from the Moravian Church. While here, Mary was fully supported by her other sisters and her Aunts Lizzie Percival and Katie Rawlins. It was a true case of family being supportive of family. By that time her father had died from a traumatic fall from a horse. Many other opportunities stemmed from being a school teacher and educator. Mary Charles started her journey in education at the tender age of thirteen having successfully completed the 7th Standard Examination on two occasions. As a Pupil Teacher, she met the requirements for movement to the different stages. Upon completion of Teachers Training at Spring Gardens in Antigua, Teacher Mary found herself without a job for a full year but that did not deter here. Instead, Teacher Mary taught for free at Estridge Moravian School – a place where she had her Elementary Education. Mary didn’t sensed any anger towards the system and felt that the positive for her was that she felt that she was giving back to the community for having had the opportunity at further education to become a Trained Teacher. Mary Charles has been a mentor and counsellor for many young persons. She taught – Estridge, St. Paul’s, Trinity Palmetto Point, Molineux, Cayon. Even when Teacher Mary was on vacation, she was still working. On Mary’s first long leave, she spent part of it in England. And what did she do while she was there? She, like a truant officer, went around looking for parents who had gone to England leaving children with grandmothers. Aunt Mary strongly believed that some of the children would have a greater chance in life if given the opportunity to live in England. So, she encouraged the parents to send for their children or at least put a plan in place to have those children join them in England. Most of those parents heeded the advice given and sent for their children, even if they had to do so, one at a time. For Teacher Mary, the values of being a School Teacher meant looking out for the profession as she so ably did with her involvement in the local Teachers Association and the Caribbean Union of Teachers. She has been honoured by both groups and she has appreciated the recognition. She saw herself as a mentor to many young teachers and looked out for their interests. She has shown that a single person can make a difference and she never stopped seeking out opportunities to help others. She encouraged young people “to make something of themselves”. She had this knack of directing the career choices of individuals. Doing “nothing” was not an option in Teacher Mary’s way of thinking. Here is an excerpt, written in 1998, by one of her former pupils who later travelled in her footsteps as an educator, “Teacher Miss Charles, may God bless you richly for the contribution you have made in shaping my life”. 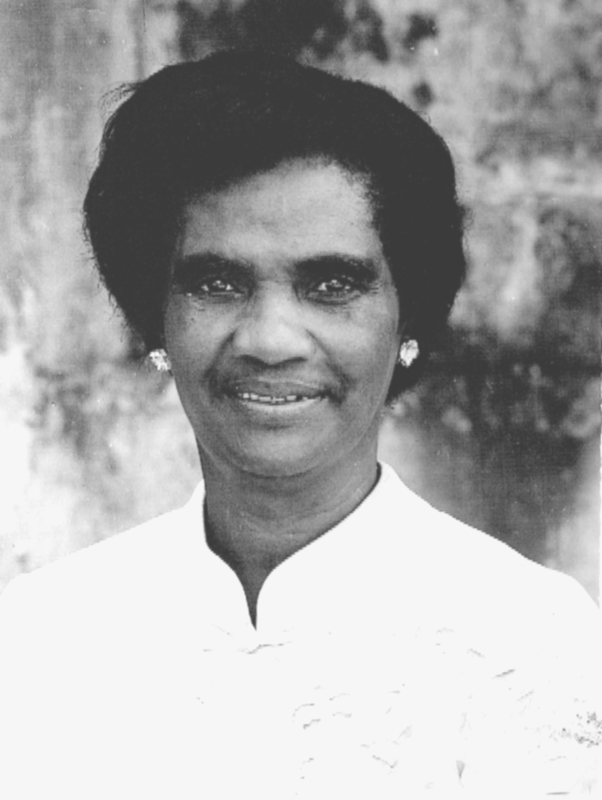 Another former pupil and cousin, the late Joe Hughes stated that the Cousin, Teacher Mary pushed him in preparation for his first Pupil Teacher Examination and that she was the one who travelled to Tabernacle on a Friday evening to give him and his mother the news that not only had he passed the examination but that he was placed 3rd in his category for all the Leeward Islands. Joe wrote in 1998, “Like hundreds of others, possibly thousands, I wish to overwhelming thank Almighty God for providing all of us with the jewel – Mary Charles”. He further stated, “This Teacher, Christian, Philanthropist is a rare and marvellous gem of God’s love and a gracious gift to mankind”. It was quite an inspiration to watch Aunt Mary “corner” the youth. She would sit on the verandah at the house in Molineux and if someone passed along the street and she was not sure if the person was still in school, she would stop them and question them. If they were not in school but should have been, she had questions for them. If they had left school and were not gainfully employed or occupied, she had questions about their future plans. There was no getting away. Having satisfied herself that she had the information that she needed, Teacher Mary would then release the ‘cornered’ individuals from the inquisitions and then invite/instruct them to come back for further dialogue. On the return (as no one dared not come back), Teacher Mary would get them to write applications - be it for nursing, teaching, motor vehicle mechanic training or whatever came to mind. In some instances, Teacher Miss Charles would visit the parents and convince them to send their child to England. Many females from St. Kitts who did nursing in England did so at the suggestion of Teacher Miss Charles. In other instances, Teacher Mary would put in a good word to a prospective employer to find a job for a deserving young person. She used her networking skills very well. Teacher Mary was famous for saying, “young people should not waste their lives”. But she also realized that the young people needed some assistance with going in, as she termed it, “the right direction”. She did not give up easily on young people. “The teacher who has had the greatest influence on my life and on the lives of many of my contemporaries has undoubtedly been Teacher Mary Charles. She went beyond the call of duty and took the keenest possible interest in the advancement of her pupils. There was no formal Parent-Teacher Association at Trinity School at that time, but “Teacher Mary” had ways and means of reaching the parents to urge them to do what she considered to be the best for their children”. Teacher Mary proved to be a champion of young women especially those “who had fallen”. She didn’t think it was fair to condemn someone for their first mistake it life. She believed in second chances. There were cases where Teacher Miss Charles gave the opportunity to girls who “had fallen” to write the Standard Seven and later, the CXC examination. That has paid off for those individuals as many of them were later encouraged to “go away” after having their baby and continue their education. She was the eternal optimist with the thought that she saw every passing moment as a chance to turn things around. “Mary Charles-George has earned her place in the history of St. Kitts and Nevis as a pioneer in the struggle for the full empowerment of women to be equal partners in the development of our country”. Job seeking skills was not the only one that Teacher Miss Charles developed in her community. She sought out ways of involving people in the community. Some of you may be surprised to know that Teacher Mary was the moving force behind organizing the Molineux Cricket Club. Teacher Mary loved a good game of cricket as long as the Sunday games were played after what used to be known as “Church Time”, i.e not before one o’clock. Teacher Miss Charles also organized what was known as the Christ Church Literary & Debating Society which exposed individuals to many cultural, social and educational events. There were regular club meetings which helped with the development of leadership skills; there were outings and picnics to places of interest and not to forget the fund-raising dances. How can we forget the “beautification” projects organized by Miss Charles? Planting trees and flowering plants was not unheard of as a community project for Ms Charles. I can always remember the push she made at getting the Molineux open space (opposite the Matthews/Demming/Richards area) ready for the Coronation of Queen Elizabeth II. The original flamboyant trees were planted under Teacher’s Mary direction. For Ms Charles, community did not end with just secular activities. 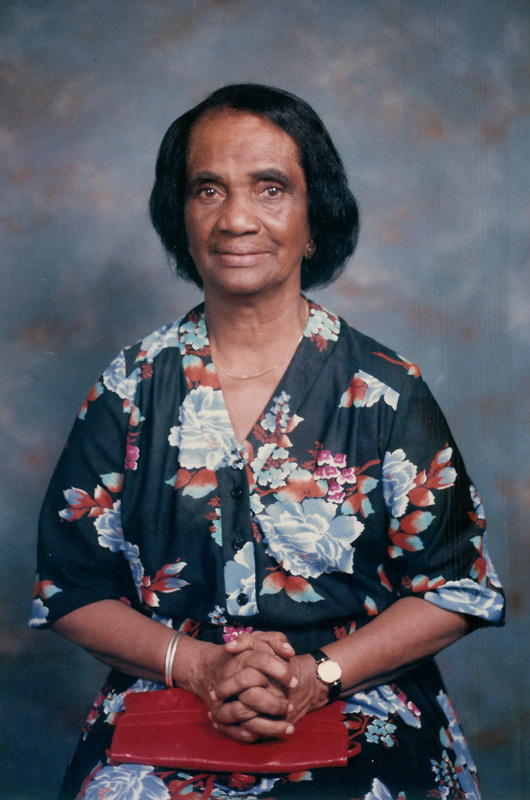 She was a tireless supporter of the Moravian Church and more so Estridge Moravian. She has done everything that could be done in a Church except being ordained. She has even conducted services at Estridge and in other Moravian Churches. Mary Charles has been recognized for her contribution to education and community building. I know that she was pleased to have the Mary Charles Hospital in Molineux named in her honour. She was also very humbled to be awarded the Order of the British Empire (OBE). When she started her contributions to humanity, honours were not part of her consciousness but it surely does mean a lot to be recognized. One of the biggest challenges that Mary had to face was in January 1957 when her sister Isa died leaving 5 sons. Just two years ahead of that time, she had lost her mother at age 66 due to a stroke. Taking on the role of Guardian for 5 nephews ranging from age 19 to 10 must have been a daunting task. Mary Charles can rest in peace knowing that she had done her family duty, her national as well as civic duty and has left this world a better place for having being here. We can only hope that when our time has come to leave this earth that we too would leave with the same level of satisfaction as Teacher Mary has. Reality has struck, the human body is built to last for just so long and Mary’s body did very well in withstanding the elements and demands of time. Mary’s response to any inquiry about how long she has lived has been the fact that she had to walk from Phillips to Estridge for School and Church and later, had to ride a bicycle to work, including her first appointment as a Trained Assistant Teacher at St. Paul’s while living at Phillips Village. In summary, Aunt Mary was a pioneer of note, a leader of distinction and a humanitarian of no mean measure. The message that we can take from Teacher Mary’s life is that we must lead, love and persevere while positively influencing the next generation. Isaac Newton said some years ago, “If I can see further it is because of standing on the shoulders of giants”. Mary I know has been that giant for many individuals. Today, there have been 28 visitors (78 hits) on this page!